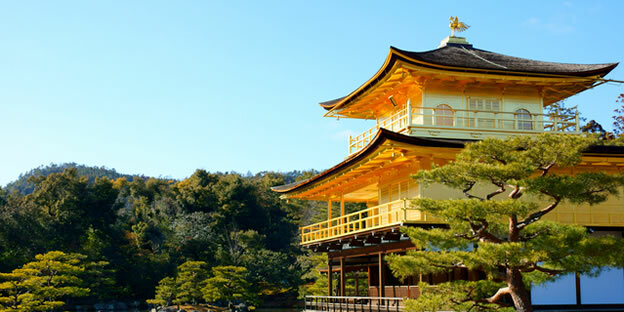 Myoshinji is the headquarters for the 3,400 temples of the Myoshin school of Rinzai Zen Buddhism, and comprises the largest Zen Buddhist temple complex in Japan. 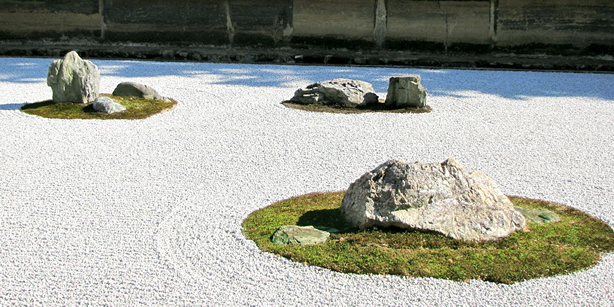 Along with Daitoku-ji, the Myoshinji temple is known for the rigorously ascetic discipline of its priests. 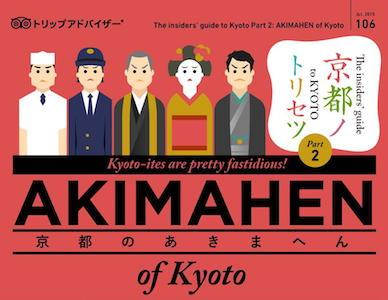 Once in a while visitors to Myoshinji will hear voices in the near distance yelling “HOOO!” – the traditional cry for alms – and catch a glimpse of the temple’s monks begging for donations on which to subsist. 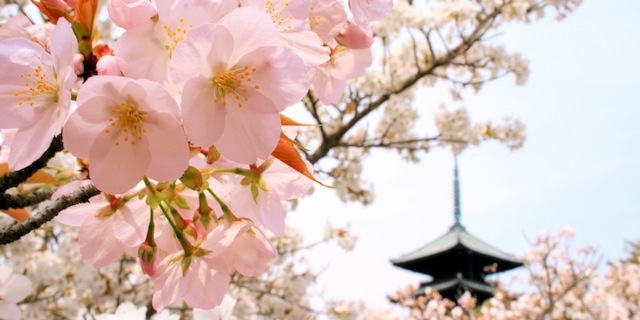 Myoshinji was originally the imperial villa of Hanazono, the 95th Emperor of Japan. 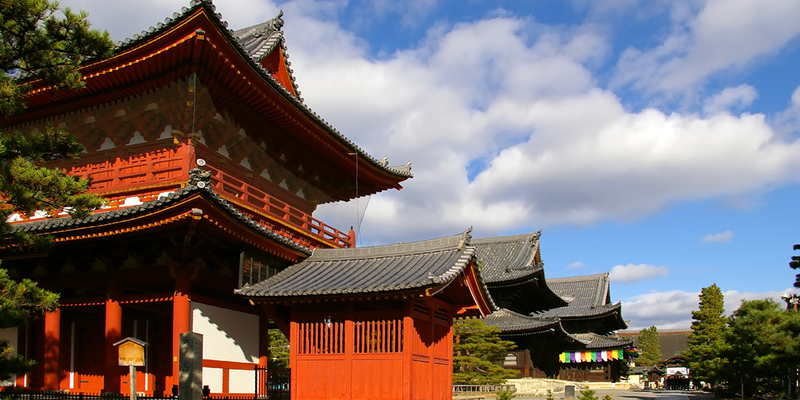 However, after Hanazono ceded the throne and became a monk, he converted the Hanazono Palace into a Zen temple, to be known as Myoshinji. 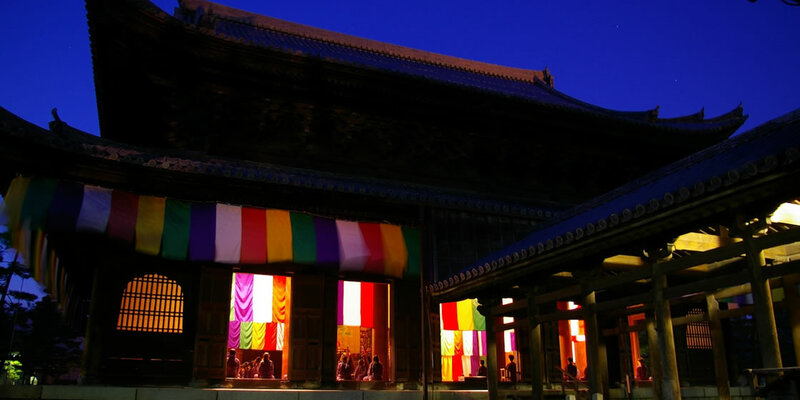 On founding the temple in 1337, Hanazono also became its first chief priest. 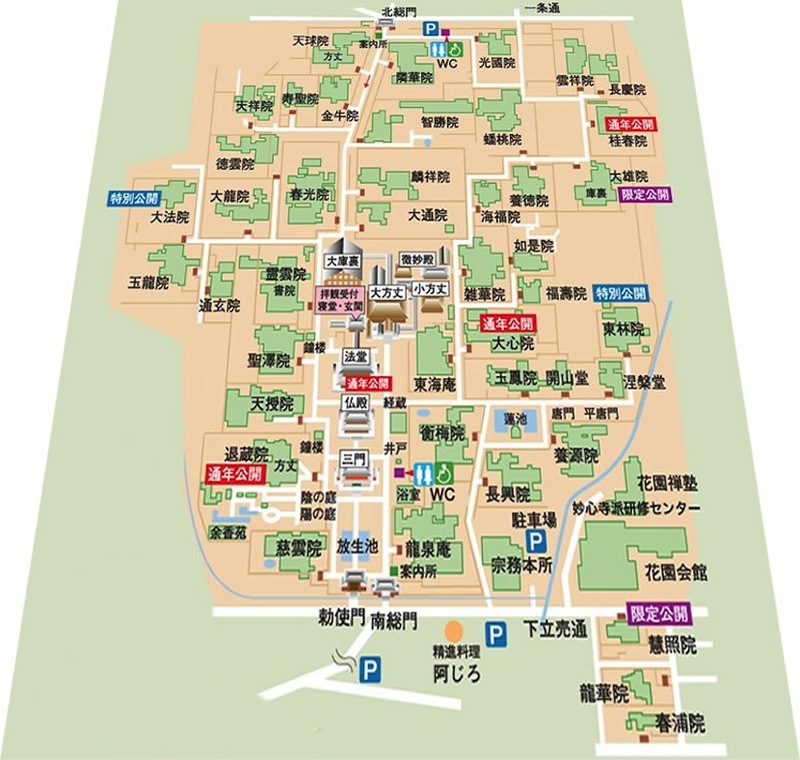 The massive Myoshinji complex stretches more than 80 acres, with a cluster of major structures surrounded by 46 sub-temples – almost like a small Zen city. 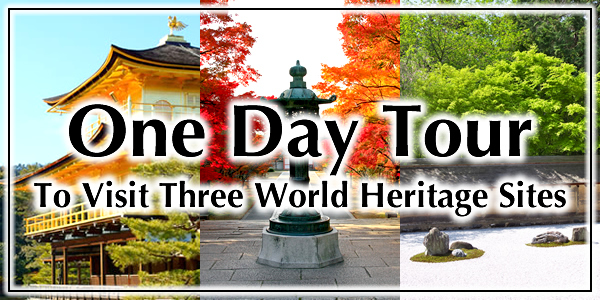 Two of the sub-temples – Taizo-in and Keishun-in – are open to visitors year-round. 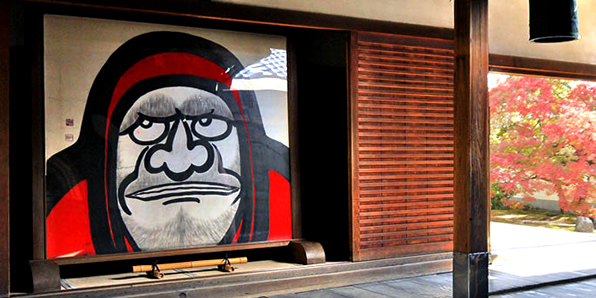 The Hatto (Dharma Hall or Lecture Hall) is famous for its ceiling painting, known as Unryuzu. The work by Kano Tan’yu, one the great painters of the Edo Era, and the grandson of the master Kano Eitoku, took eight years to complete. This arresting artwork is certainly worth taking at least a few minutes to appreciate. 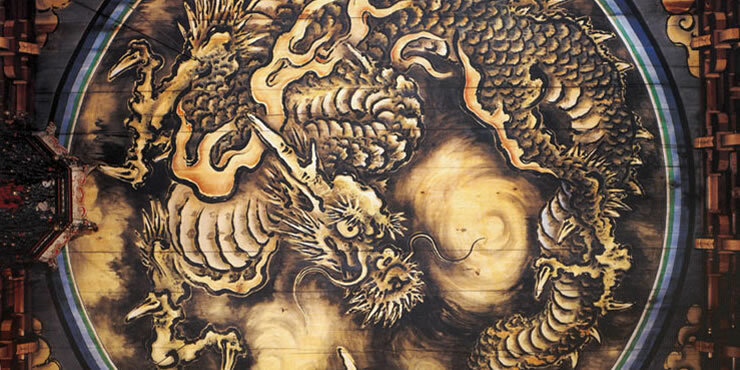 Because of the way the dragon depicted in the painting seems to be staring back at the viewer – from any angle – the Unryuzu is sometimes referred to by another name, Happo Nirami no Ryu, or Dragon Glaring in Eight Directions.